So tonight I was inspired to bake some Christmas goodies for my coworkers at Sea Turtle Conservancy to show them my appreciation as tomorrow is my last day at my internship. I can't believe how fast this semester has gone by...but I am definitely ready for the end of this chapter in my life. I am ready to get married and have a family and not have to study for exams or write papers....it is going to be glorious! 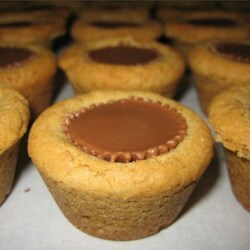 Well in the holiday spirit I baked some yummy in my tummy peanut butter cup cookies. You have to try these! 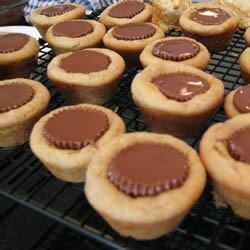 They are so good and I promise if you like peanut butter and you like chocolate, this recipe is a GRAND SLAM! Melt in your mouth goodness right here! Off to sleep in my nice cozy bed...goodnight everyone!